The purchase of this Chuwi Hi9 Tablet. is recommended only to those who know what they are going to meet, or a device with which we must have a certain patience and few claims in use. You can find it on Gearbest at a price of $169.99 with Use of this Coupon Code: Chuwihi9 , by the way, if you have question about Chuwi tech support, you can contact here. For a purse-sized tablet at under $200, the Chuwi Hi9 certainly fits the bill. Battery life is good, and performance is not too bad. It is a shame the camera could be improved. Camera enthusiasts might want to wait to see the Hi9 Air camera offering before making a final choice. There are very few Android tablets today that there isn’t really much to choose from. And the ones that are available seem to congregate towards two extremes, the expensive premium slates and the cheap, low-power plastic slabs. The Chuwi Hi9 happily sits somewhere in the middle. 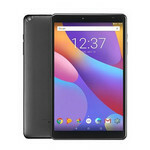 Its $190 price tag clearly shouts “budget tablet” but while it’s not going to win any performance race, it will be able to accompany you through the day, in both work and play. Positive: Good price; large screen; decent hardware. Negative: No mini HDMI port. MT8173: ARM based quad-core SoC (2x Cortex-A72, 2x Cortex-A53) for tablets» Further information can be found in our Comparison of Mobile Processsors. 67.75%: This rating is bad. Most notebooks are better rated. This is not a recommendation for purchase.